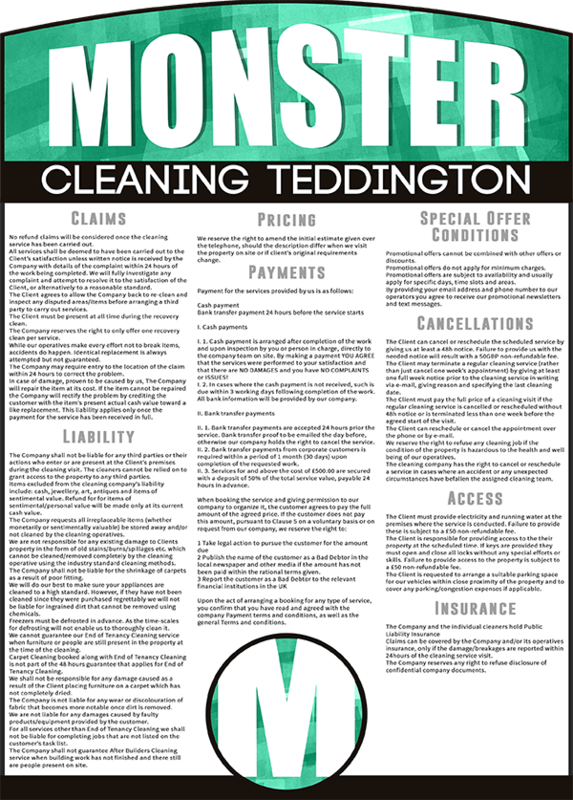 The following Terms and Conditions are listed below for you to read and understand in full prior scheduling a service with Monster Cleaning Teddington. By using our services you agree to be bound by them. We strongly recommend that you familiarize with them and check them periodically. We reserve our right to make changes in the mentioned below rules and policies without giving a prior notice. We own all intellectual property rights for our website, and of the material published on it.